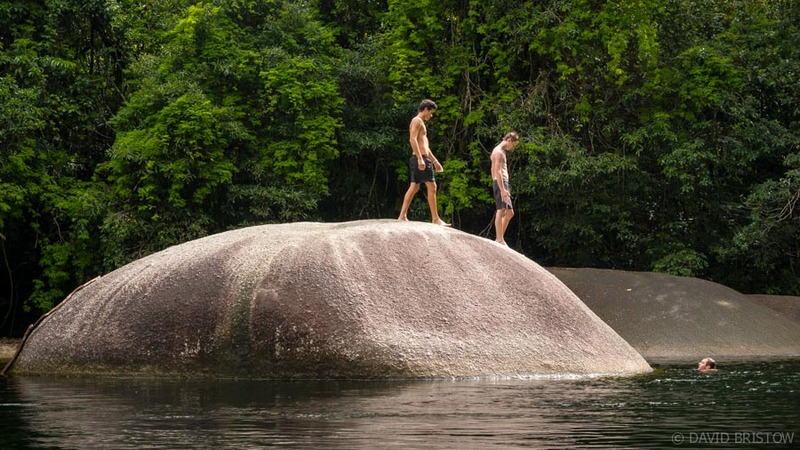 Each year more than four-and-a-half metres of rain falls on the tiny town of Babinda, snagged by Mount Bartle Frere’s towering 1622-metre range and sent tumbling off its flanks to surge through lush tropical forest and fill one of the most irresistible, croc-free waterholes in the far north. According to Aboriginal Yidinydji tribe lore, the beautiful siren Oolana dwells in these pools, forever calling for her lost lover and beckoning daredevil young men into the creek’s raging wet season flow. In truth, these breathtakingly chilly pools are entirely irresistible on a hot summer’s day and the most accessible are calm and clear and very kid-friendly. You can snorkel in search of freshwater turtles and sizeable jungle perch, and spot the eels and yabbies that hide amongst the river pebbles. Afterwards, warm up with a stroll on the easy, sealed pathway that follows Babinda Creek downstream to the Devils Pool Lookout (470m one-way) and continues for 130m through lowland riverine tropical rainforest to a final lookout over Boulders Gorge. Visit here at dusk or dawn to enjoy some quiet solitude where the wild water roars and Oolana calls. Upstream, a series of secluded swimming holes lure bushwalkers onto the adventurous Goldfield Track, which cuts a path through magnificent Wooroonooran National Park to a campground and swimming spot at Goldsborough Valley, 19km away. Tackle the entire journey or simply amble for an hour or so, keeping an eye out for cassowaries – rare and endangered in these parts – and the far more common electric-blue Ulysses butterfly and Australia’s largest, the Cairns birdwing butterfly. You’ll have a good chance of spotting wildlife away from the main waterholes, and if you don’t mind bedding down in one of the wettest places in the country, there’s a stunning free camping area on site to help prolong your rainforest getaway. 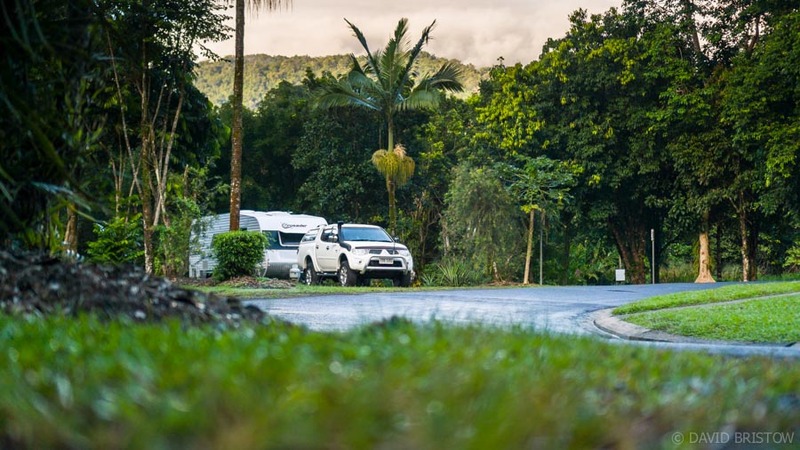 That you can stay in these big, shady campsites for up to three nights for free is surprising given Babinda’s proximity to Cairns, a city 60km north that doles out big fines for any kind of free-range sleeping. This makes Babinda Boulders a rarity and its facilities are generous too: coldwater showers, toilets, drinking water (straight from the hills), picnic tables, wood barbecues and rubbish bins – all kept in excellent condition by the Cairns City Council. 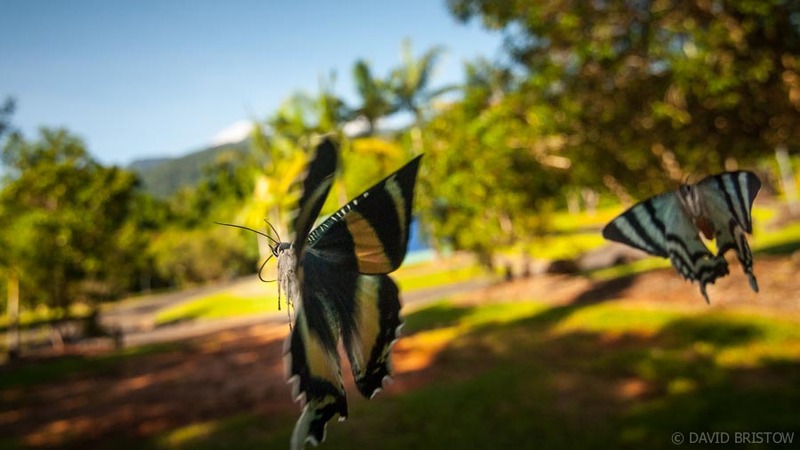 Close to The Boulders, the tiny town of Babinda provides just enough services to keep you from making the 60-kilometre trek into Cairns: a supermarket, post office, laundromat, hospital, mechanic and a few casual places to eat, including a pair of pubs. There’s even an op shop and a cinema if your stay here really stretches out…. If you arrive late in the day and The Boulders campground happens to be full, there’s a second, more spacious option just east of town across the Bruce Highway where pets are welcome too. 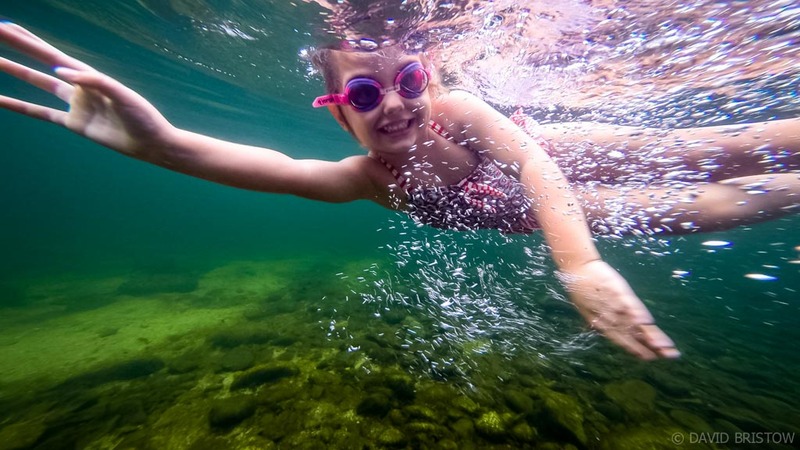 This free waterfront camp also provides access to shallow, sandy stretches of Babinda Creek for a swim, and provides coin-operated hot showers, an RV dump point, kids’ playground and mobile reception too. 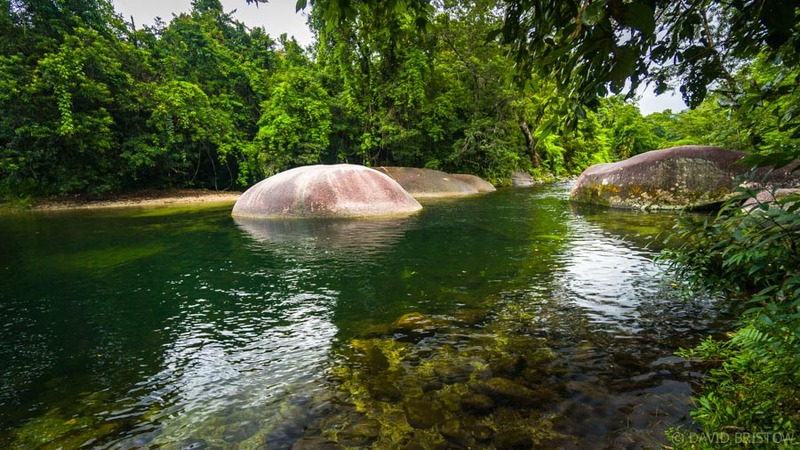 The Babinda Boulders Scenic Reserve is located 60km south of Cairns. Turn off the Bruce Highway onto Babinda’s main street and continue 6km until road’s end. 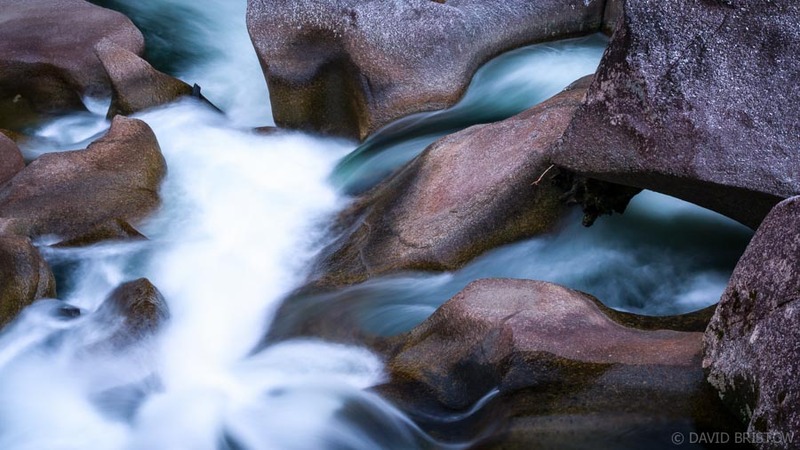 The Boulders campground provides toilets, coldwater showers, rubbish bins, fireplaces, picnic tables and drinking water (3-night limit). Down at the waterhole there are free gas barbecues and a kids’ playground too. You can visit year-round, despite the wet season deluges, and come late October, the town celebrates with the Babinda Harvest Festival (www.babindainfocentre.com.au). Wonderful swimming, scenery, wild life and great facilities, what more could any camper want ? Too true Leonie! This spot is the BEST! I’ve swam in a lot of waterholes and Babinda remains my favourite.